Jack Archer Keene was born in Barnsley, Gloucestershire in early 1898 . His parents Frank and Sarah Archer had married in Thame in November 1891. Jack had four sisters and six brothers all born in Thame. Two of his brothers served in the Royal Navy during the war, Percy surviving but Frederick going down with HMS Pathfinder. In 1911 Jack was a tinman’s errand boy. 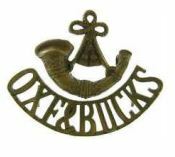 He had joined the Territorial’s of the Ox & Bucks Light Infantry early in the war, albeit had possibly lied about his age as he would have only been 16 at the time, the minimum age for service in the Territorial’s being 17 (18 for overseas service). Nonetheless, his young age still precluded him from going with the battalion when they embarked for France in March 1915. Throughout the spring of 1916 the battalion received regular reinforcing drafts, in preparation for the Somme offensive, and it is likely that Jack joined them in France during this time. The battalion, part of the 145th Brigade in the 48th (South Midland) Division, served through many phases of the Battle of the Somme. At the end of July 1917, the brigade entrained from northern France to the Ypres area of Belgium. 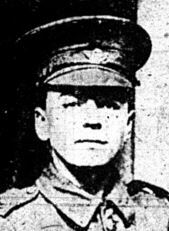 Jack Keene, with A Company, was killed on 16th August 1917 during the Battle of Langemark, the second allied general attack of the Third Battle of Ypres. 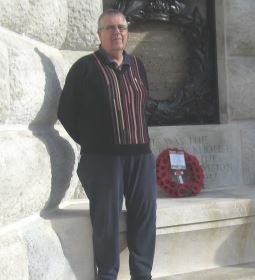 His body was never identified and he is commemorated on the Tyne Cot memorial Ypres Belgium. He is remembered in Thame on the War Memorial and on All Saints Memorial Board. His outstanding pay of £5 17s 7d was paid to his father in 1917 and his war gratuity of £13 10s paid to his mother who by 1919 had moved to live in Reading.